Here is one way we keep our kitchen table looking festive. Putting together a Christmas puzzle is my husbands families tradition. Its a fun night to invite friends over to make the Christmas puzzle. 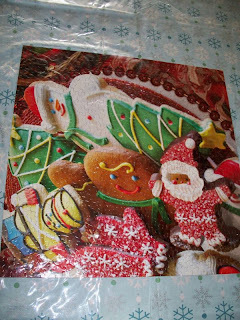 First I put a nice Christmas themed table cloth on the table (purchased last year on clearance), then we do the puzzle and top it off with a plastic see through table cloth! A Tradition turned into a frugal way to decorate! Do you have any traditions that spruce up your home decor for Christmas? Christmas cards can add up and be expensive if you don't get them on clearance the year before and with a growing family everyone usually wants a photo in their card. So what we do it put the two together. WE take a nice picture (this year we included my parents), find a free Christmas card template and ta-da our family Christmas card. All you have to do is save it as a jpeg and you can print if off at any local print shop. 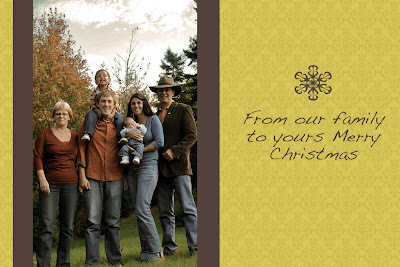 We had these done a while ago when Costco had prints for 10 cents~ This price sure does beat the more expensive prices of 1.00 per Christmas card print. 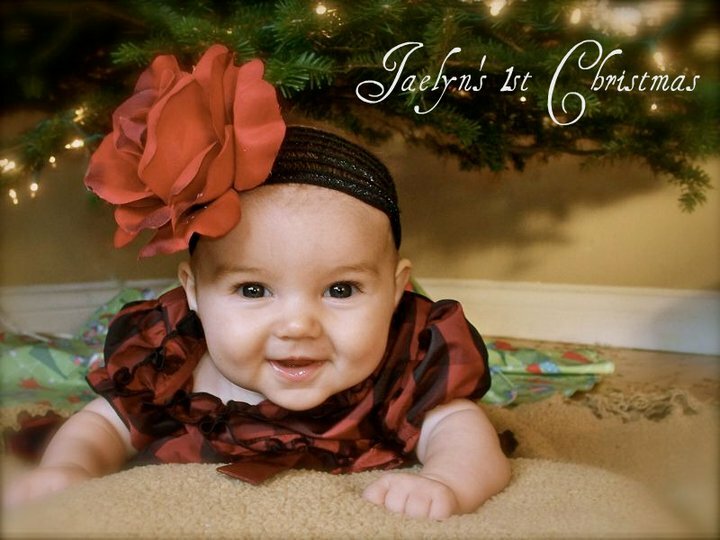 My cousin this year had a great idea on how to save some money and some trees this Christmas and found a sharing template (I think you can do it on picnik or even shutterfly) and put her pictures in and emailed out there greetings! Now for the kids Christmas pictures I have been messing around with my camera so I dressed them up and took some pictures and used picnik to do the editing! I really love that site cause it allows you to add text to your pictures. 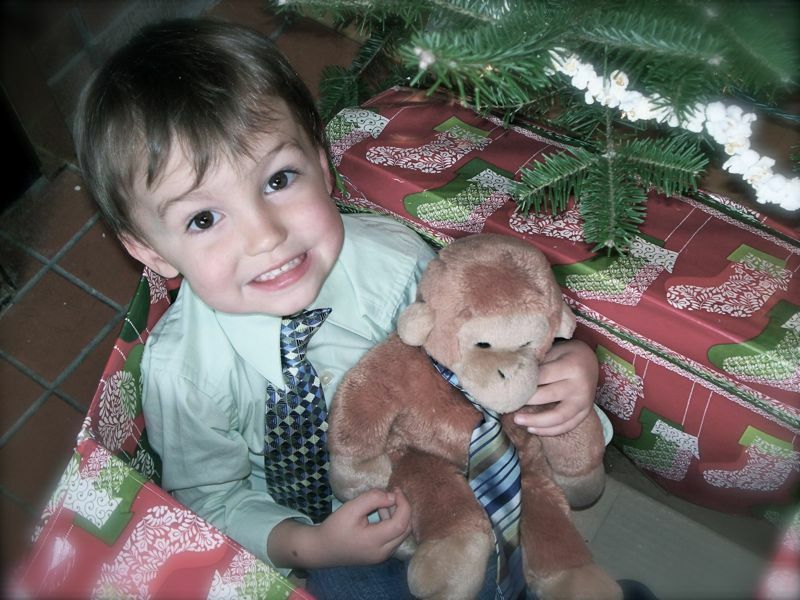 You can use lots of props for the kids Christmas pictures without taking them any where's (stockings, wrapped boxes, strains of lights, Christmas bulbs, Christmas PJ, milk and cookies, stuffed snowmen) or spending lots of money. I love how the little guy needed to have monkey Peterson with him and that he even put a tie on him! hehehe. So one thing that helps to stay on budget is first off having a budget and second being organized. Before Christmas season even comes around its a good idea to sit down and figure out how much you want to spend on gifts, food, and decorations. That way you wont be in total shock when January rolls around. A cool thing to think about is the average Canadian spends $587 on Christmas each year. That's one person so usually one house has 2 people which doubles that amount. This year I challenge you to see if you can be under that stat. Now for the organizing part I usually use Google doc for that kind of stuff but recently I put together this little book to help stay organized for the Christmas season. Plus it helps that I can take this with me shopping; since it does have all my list in it. 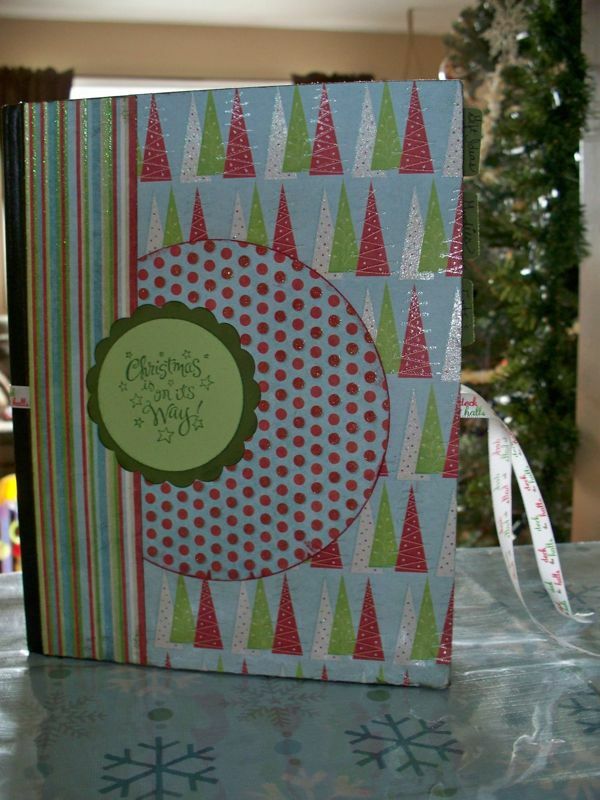 Its my Christmas organizer to help keep track of December events, meal plans, baked goodies, gift and decoration ideas and also the list of things to buy for gifts. I got the idea for this lovely book over here at eighteen25. 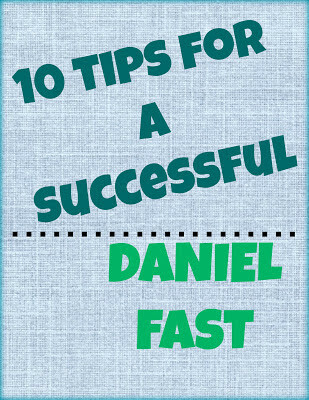 You can check out their site for full details on how to make it. I love how you can make your own tabs depending on you own list. I have one for gift ideas, goodies (like new recipes I want to try), meal plan and grocery list, the list and a whats happening section to keep track of all the get togethers. We actually just did this as a craft at our moms club and the creations were awesome. Some women made them for gifts (not bad a gift for $5), others used them as recipe books. Another thing I love is that I can keep track of things I want so when I am out at yard sales this summer or second hand shopping I can keep my eye open for things that I could use to make gifts out of. 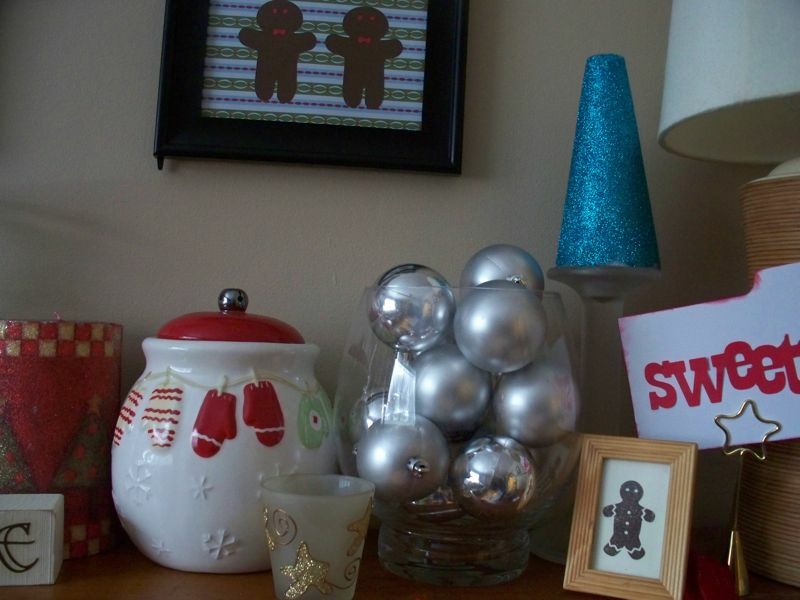 So how do you stay organized during the holidays? 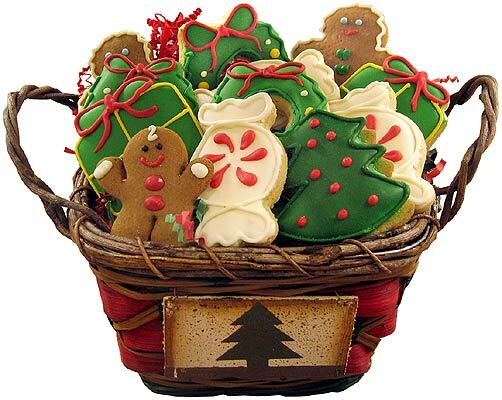 Christmas is a time for parties, get together's, company, and goodies. So how do you keep your food budget on track for the month of December with so many activities going on? Here are some ideas that have help us stay on our $62 a week food budget during the month of December. The first thing to do is make a list of all the baked goods you make during the holiday season. For ours I made it on google doc. From the list I made an ingredient list of all the different ingredients that are needed in the house to make our holiday treats. 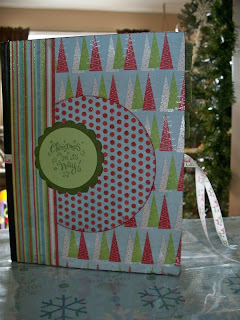 Both list have been printed off and placed in my awesome Christmas planner; which I will blog about later this week! In November I start looking at my ingredient list and picking up the ingredients needed for baking in my normal grocery pick up. For example they had chocolate chips (the good kind) on at a local grocery store 3 bags for $4. 98; so I picked up 6 bags. Also other things like Chip dip which is my hubby's favorite Christmas treat was on sale so I got a couple of those and put bright yellow stickers on them that say DO NOT EAT!!! So they would be around for the Christmas holidays. Another way I save on food around the holidays is to keep meal planning so I am not running out and getting things. Having a meal plan to look ahead at helps me to buy my ingredients on sale. Another good things is in my calendar of events for the month I have the days booked off for parties that I need to bring something to; that way I could see how many things were needed for our nights out and pick up say bags of chips (which were on sale for 99cents! ), chips dips, crackers or appetizers. For baking this year I am actually in a cookie swap (I think this will save on grocery money as well). I made 10 dozen cookies and get 10 dozen different kinds of treats. This will be used to take variety plates to parties with us, offer to guest when they come over and maybe even give away as gifts. December 1st is here and only 25 more days before Christmas is over. 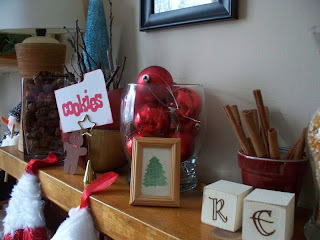 I am sure many people have had their Christmas decorations up for almost a month now but this is where the Christmas season usually begins in most homes so lets talk about how to decorate beautifully yet frugally. The first step to nice decorations begins AFTER Christmas...thats right after Christmas. There are always such great deals on all those nice decorations after the holiday season is over. So start watching for the sales after the big day and into the new year. Also yard sales through the summer are another great place to get decorations. Even if they are tacky and from the 80's you can always make new things out of them. 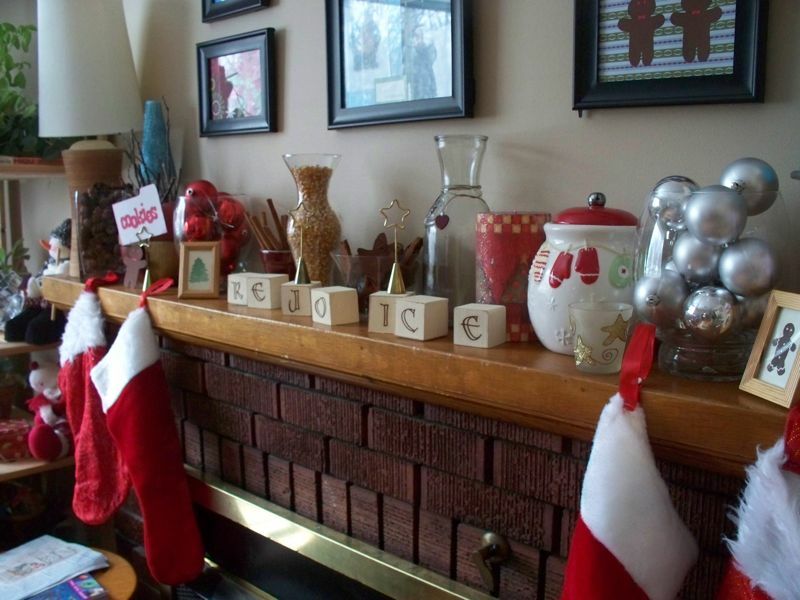 I always start the decorating with my mantel. This year we put up a new wall collage to display all our beautiful family pictures that are talented friend Kait did. So for Christmas I decided to put in some pictures that we took last year of our family and neighbors making Christmas cookies. Also for the 4 5*7 frames on the corners I put in decorative scrap booking paper. The top 8*10 frame is patterned paper with the words A Very Merry Christmas cut out from my cricut. A side self is decorated with tin cans; which will soon be filled with goodies, A glass bowl with cookies cutters, and a dip bowl which looks like a giant Christmas mint. The mantel has lots of fun things that came from around the house. I have vases filled with pine cones and acorns, sticks, cinnamon sticks, mixed nuts and shinny ornaments (which I got on sale last year). 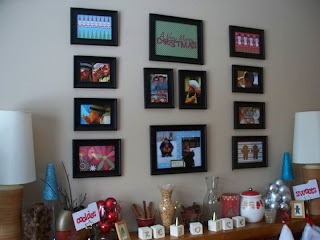 I love those little frames I have had for years from the dollar store. 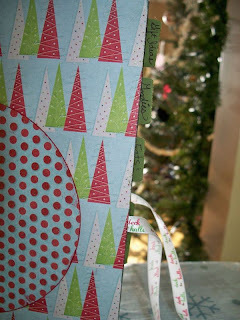 In them is a piece of off white paper stamped with some Christmas stamps I have. I love the recipe cards (cookies and sweets) which I did on my Cricut. And new to my collection this year are the 2 beautiful glitter trees which I did myself. I bought the cone shapes in this floral department at Wal-mart, painted them with glue and coated them in the pretty blue glitter I got at Michaels in the $1.50 bin. 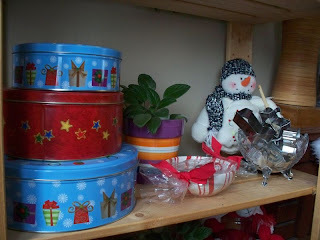 There are so many things you can use around the house to give it a Christmas feel without spending a lot of money. Most of the vases I have were bought at the dollar store or at yard sales. There are many different things you can fill in them for Christmas things like cinnamon sticks, Clementine's, ornaments, mixed nuts, Christmas candies, buttons, Christmas colored ribbon, cookie cutters, strands of beads...the list is endless. 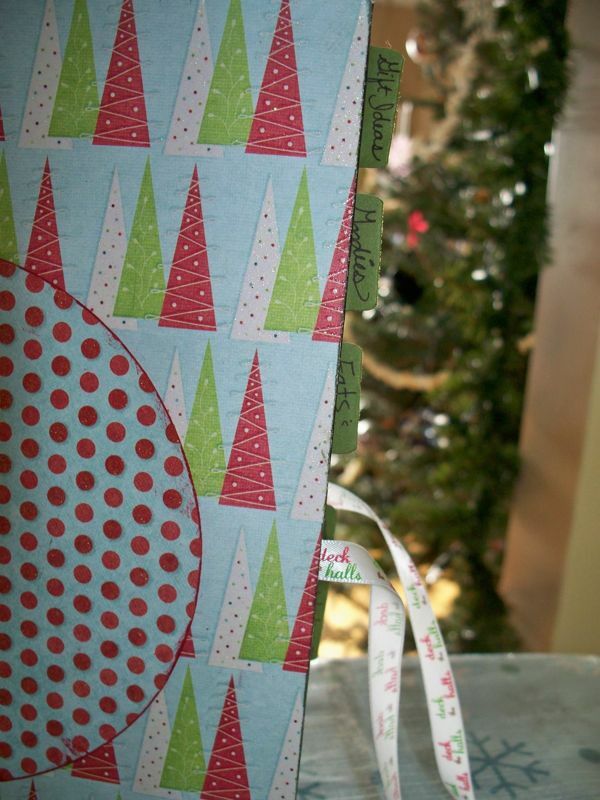 So todays challenge is go around your house see what you got and try to use it to "deck the halls".